Juanchaco and Ladrilleros are two beautiful little coastal towns situated in the bay of Malaga about an hour boat ride north of Buenaventura. Of the two, Ladrilleros is more popular with tourists - it's beach is nicer and the town, perched up on cliffs, is more attractive than its neighbour. Similar to nearby Buenaventura, the vast majority of the people are afrocolombians. Most speak with that distinctive fast coastal accent (with the letter 's' almost non-existent), so you're Spanish will definitely be put to the test! The boats from nearby Buenaventura dock at Juanchaco, about a kilometer south of Ladrilleros. I must admit that my first impression Of Juanchaco was one of disappointment. The town was dirty, as was the beach, and it wasn't the peaceful little fishing village I'd expected. Instead music blared out from shops and bars with huge speakers seemingly aiming more at passers-by than at their clientele. Ladrilleros, though, more than made up for my disappointment with Juanchaco. The pacific coast is much more tidal than the atlantic coast and you definitely notice the difference in the shallow waters of these two towns. When you dock (at high tide) the beach is just a narrow strip of sand backed by the rows of houses and businesses of the town. However, later on the sea will have retreated considerably. There are many small hotels along the main street of the town and prices are reasonable. Hop on a motorcycle taxi which charges a couple of thousand pesos and gets you there within 5 minutes. Or, you can also catch one of the wooden chivas (typical buses) which run between the two towns. Personally however, I think the best option is to walk it, at least once. It's a leisurely 45 minute walk, tops. 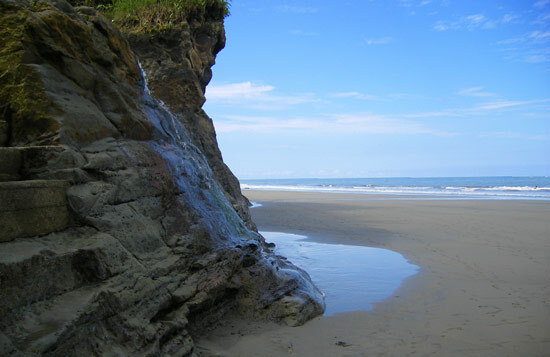 And by walking you better apreciate the views out to sea and along the coastline as the flatter ground at Juanchaco gradually climbs to form steep cliffs at Ladrilleros. A large part of the road swings round a military airstrip. There is guerilla activity in this area of Colombia, but the strong military presence means that you should have no problems in or around Juanchaco or Ladrilleros. Still, it's definitely best to check the current situation before you travel out here. Juanchaco and Ladrilleros are similar in size, but Ladrilleros is definitely the prettier of the two. One long street contains all the hotels, restaurants and shops. There are also a few bars that come alive at night, although it's still much quieter than Juanchaco. Ladrilleros is set atop steep cliffs and some of the hotels and restaurants afford fine views out to the Pacific ocean. There are various stairways leading down to the beach. At high tide the ocean swallows up the beach so you might want to check the tide times and plan your sunbathing for the appropriate hour. Be warned that the sun is strong, even when cloudy, so slap on that sunscreen! The local lads love a football kickabout on the beach and they'll probably let you join in if you ask. 'The losers buy the soda' was the rule when I played (and lost)! In terms of where to stay, simply stroll along the main street until you spot somewhere inviting. Cabañas Villa Paz is a decent option (Wilfrido and Vicente Angulo, tels. 3117432942, 3117046178) at the north end of the town. 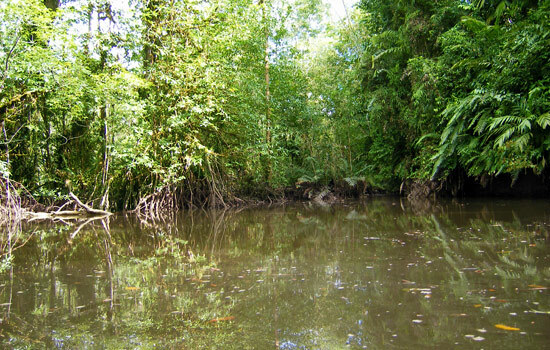 Behind the towns of Juanchaco and Ladrilleros is a large area of mangrove swamps. 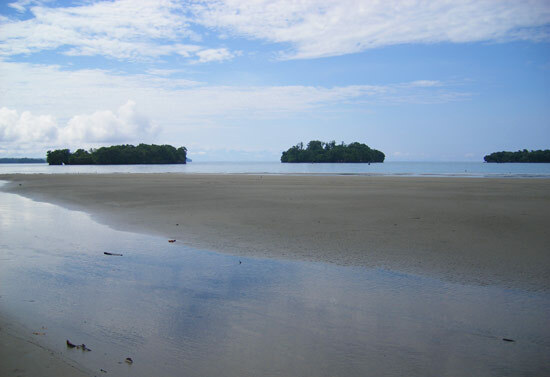 It is easy to take a tour of these mangrove swamps; most hotels will be able to organise this for you. The typical half day trip consists of taking a small boat through the channels and stopping at a couple of waterfalls. 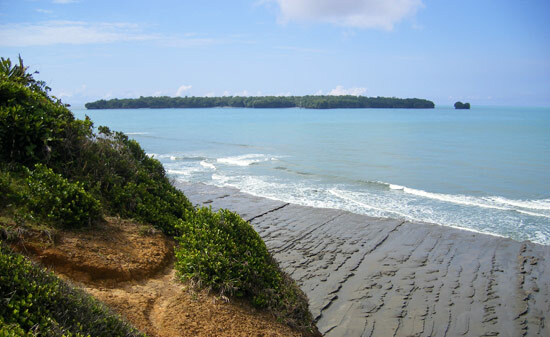 The water level varies with the tides so the trips are restricted to when the water's in. You can take a trip in a simple hollowed out canoe (you'll have to row) or a slightly larger boat with a motor. Take insect repellent for the mozzies! 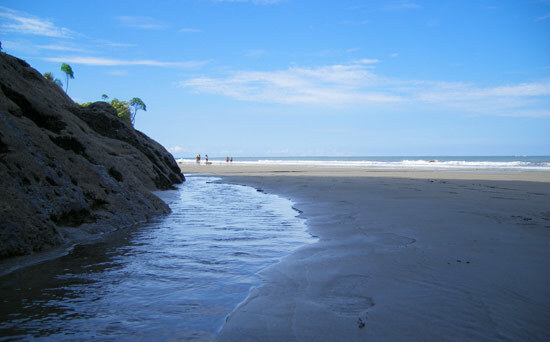 You can visit various other spots along the coast from Juanchaco and Ladrilleros. 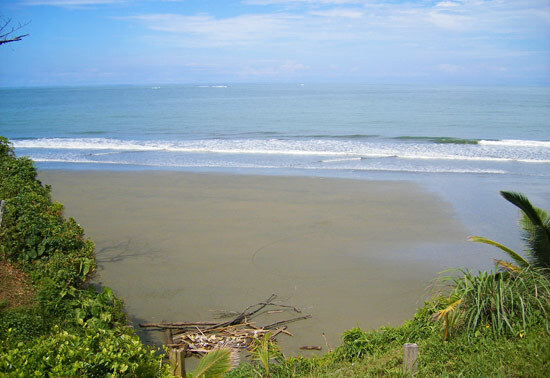 Boats can be hired from Juanchaco at reasonable prices which take you to wherever you fancy. The pick of the destinations is La Sierpe, where a 65m waterfall cascades into the sea, but there are also many other delightful places to explore. Have your say on the site! Leave me a comment in the box below.